There is a detail in Ashley Cole's story, My Defence, scripted eight years ago which seems suddenly resonant this weekend. In the book the 33-year-old gives his version of events about a rendezvous that turned into a notorious tapping-up scandal, when he met with Jose Mourinho in a London hotel while he was still an Arsenal player. The meeting, Cole suggested, was coincidental as he thought he was only going to chat with the agent Pini Zahavi about possible options if he decided to seek pastures new when the Chelsea manager arrived. But what is interesting now, as the defender prepares to make his debut in Serie A with Roma, is the notion that he went to meet Zahavi purely to talk about moving abroad. "Pini told me not to worry about a thing. Whether it was now or later, there were plenty of clubs who would be interested," he wrote, before adding: "Barcelona, Real Madrid, Valencia for sure, and these magnificent clubs just rolled off his tongue." He continued: "I fired off a few questions about the differences between Spanish and Italian football, the weather, the people, the lifestyles. I asked about the different clubs and how other English players had adapted and made to feel welcome. "It was just while I was talking that there was a knock at the door... " And in walked Mourinho with Chelsea's then chief executive Peter Kenyon. 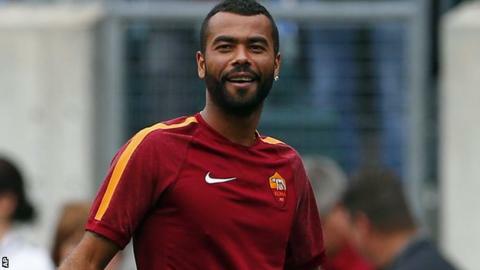 As Cole prepares to make his debut for a continental club this weekend - Roma host Fiorentina on Saturday evening - it is intriguing to reflect that he gave serious thought to an overseas move back in his mid-twenties. Of course, that never materialised. He took a far shorter and considerably more infamous journey across London instead, echoing the choice made by an old team-mate, Sol Campbell, when he eschewed the chance to play abroad to make the short hop from Tottenham to Arsenal when in his prime. While there may have been temptation to try out a completely new experience for England's elite players over the last decade, staying on home shores was the preferred bet. A couple of years ago, Zlatan Ibrahimovic suggested Steven Gerrard should have tried his luck abroad. "Although of course Liverpool is a big club, I would like to see Steven at a big international club," said the Swede. "I would like to see that also for England because it is very exciting when someone goes abroad and shows who he is in another competition. For me, a fantastic player can make the difference in every country wherever he plays." The general lack of English players who venture overseas remains an anomaly in football's global marketplace. At the 1990 World Cup, before changes in employment laws transformed the landscape and players began crossing borders in increasing numbers, one player from England's squad played his club football outside Britain - Chris Waddle in Marseille. But the numbers since don't show much of an improvement. In all the World Cups since then, only three squad members played for foreign clubs - David Beckham joined Real Madrid in 2003 - Owen Hargreaves (Bayern Munich), who had lived most of his life abroad, and Fraser Forster when he played in the SPL. It is a paltry figure covering nearly 25 years. There are a couple of stereotypical explanations - that the wages in the Premier League are attractive enough to keep talent in-house, and that English people are naturally less inclined to go through the personal tests required to succeed in a different country. But still. Even Italy, who were generally resistant to leaving their home league, now find themselves with greater numbers abroad, including their best young talent (Mario Balotelli, Marco Verratti and Ciro Immobile play in England, France and Germany). Not so long ago Spanish players seemed to have a hoodoo when it came to trying out other European leagues but that feels like ancient history. England is the last place to appear reluctant to open its exit barrier. When he was unveiled in Rome, Cole hinted that there is a prevailing fear factor. "Perhaps British players are a little afraid to move abroad," he said. "They are accustomed to British culture and for them it is convenient to stay at home. "But as soon as I had this opportunity, I was glad to get out of London, to face a new language and a new culture." It is telling that Cole acknowledges this move has come at exactly the right time for him, a little older and wiser, and thus more confident to take on the various challenges needed to adapt and immerse himself in a new culture, language, and way of life as well as a new style of football. He recently posted a photograph on Twitter of an afternoon stroll around the Colosseum. In another he mentioned he was off for an Italian lesson - something that once might have left him open to mockery but now can only be regarded as sensible and good practice. He signed off one tweet in local vernacular with a "buona notte" (goodnight). It has got to be a positive thing for the English game that Cole appears to be relishing the opportunity to push himself and challenge boundaries that have been familiar throughout his footballing life. But it also opens up the debate about whether it would benefit the English scene to have more players gaining that kind of experience and taking themselves out of their comfort zone - especially in their formative years. Roy Hodgson advocates it for younger players. "It wouldn't hurt them at all to go abroad," he says. "If you're asking me would it be better for some of our players to be playing in good teams abroad rather than warming the bench in the Premier League, then of course, as a national team manager I would like to see that." As the English game tries to come to terms with its national side exiting the World Cup so early and a new squad that seems short of experienced inspiration, perhaps that is a point the FA could do with encouraging. When Ashley Cole went on loan to Crystal Palace as a teenager, what influence might it have had on him - not just as a footballer but as a person - if he had tested himself back then with PSV Eindhoven or Porto instead? Defender Eric Dier, 20, at Tottenham has made an immediate impression not just with his ability but also his mature attitude having spent several years educated at Sporting Lisbon. English players broadening their horizons can only be a good thing. The sooner it can happen to players, before they reach veteran status, the better.